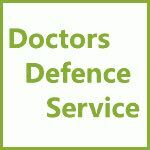 The Citation of Other GMC/MPTS FTP Decisions on Appeal | Doctors Defence Service – UK. Many doctors who have faced GMC/MPTS proceedings feel that the panel in their case came to a decision that was disproportionate and not in keeping with a number of other similar cases that have been recently decided. To that end, when looking to appeal they wish the appeal court to look at a number of comparative cases. This approach has been held not to be particularly helpful by appeal court judges. Note that the indicative sanctions guidance referred to in the case law is the previous guidance. For the current indicative sanctions guidance, see our list of GMC publications. The principles in the above case could be said to equally apply to the citation of GMC FTP cases.